If you're the person who's been tasked in coming up with the company away day ideas, then that's fantastic! 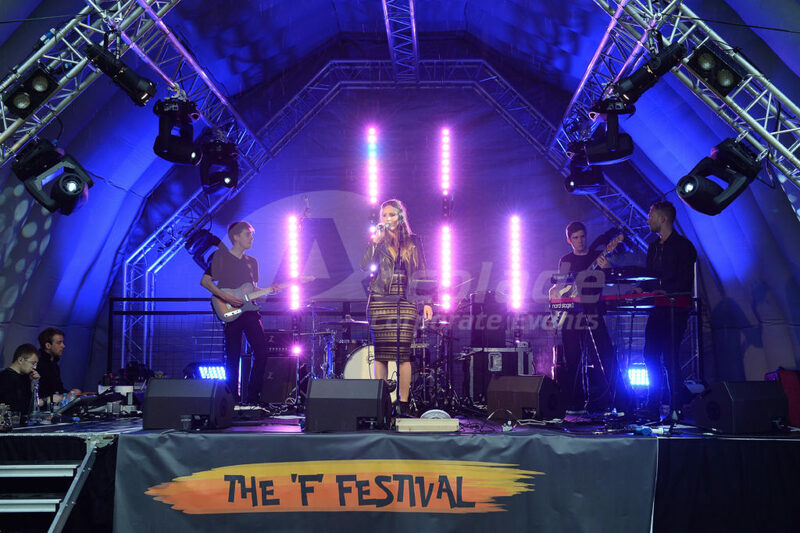 We know that there's so much to choose from and it can be a little daunting know what works and what doesn't work to engage all of the attendees all of the time but never fear - Accolade are here! Each year organisers looking for company away day ideas come back to Accolade Corporate Events because they know that we are the experts in hosting professional, inspirational and fun company away day activities - so we know we can help you organise the best event your company's had yet! There's many different reasons why you may be organising an away day, it could be an opportunity to get your team together, to reward them in a fun and interactive way or it could be that you want to work on team cohesion or another element that you feel needs building and each objective lends itself to a different set of events for you to choose from; whatever your specific objective is, Accolade Corporate Events can help you. Want us to call you to discuss your next event? Fill in this quick form and we'll call you back within the houror call us on 0800 083 1172! Daytime team activities can be both indoor or outdoor and as you would expect, we've got many different inspirational events for you to choose from the morale boosting and fun events like It's a Knockout, School Sports Day and motorised and shooting events to events that really boost communication and time management like treasure hunts, the crystal maze and charity apprentice! There are so many to choose from! 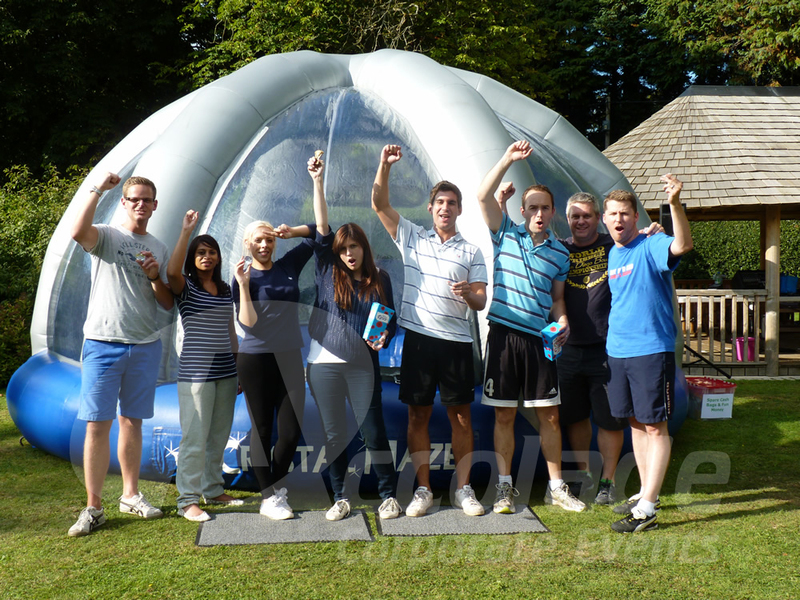 Evening team activities to act as the perfect finale for your company away day! Company away days don't always stop at the end of the afternoon and many of our clients stay overnight at a venue and combine their evening meal with fun corporate entertainment, choose from a massive range of events including team millionaire, crashing waiters, a cocktail masterclass, themed party or why not even host your very own company festival? You can be sure we've got a portfolio packed full of great Evening Entertainment Ideas. We were delighted when one of our favourite clients that we've been working with for many years now, asked us to host their company away day this year.Knowing what a great bunch of people they are, we knew that we were going to have a lot of fun with them! Our clients wanted us to organise the venue for them, they were to arrive, have activities in the afternoon, an evening meal with entertainment and then everyone was to stay overnight. Partners were included as they realise the importance of including partners and making everyone feel like they belong to the company. Hanbury Manor in Hertfordshire was chosen out of the shortlist we suggested to the client and the activities were decided upon. Company away day ideas that work! The afternoon got off to a roaring start, the sun was out and everyone was up for a great afternoon! With lots of activities to participate in, there was certainly something for everyone and everybody could feel that they'd really had a go and enjoyed themselves. Geese Herding was a big hit, with the sheepdogs at the ready and the shepherd demonstrating how the dogs respond to the commands, it was up to the team members to try to round up a gaggle of rowdy geese! There were Segways to master too, balance and coordination was essential to be able to navigate their way through the twisty course laid out for them. Rifle shooting was very popular and with their eyes firmly on the target you could feel the concentration as everyone tried to hit a bullseye - some more successfully than others! Another one for a keen eye was Crossbow which was a breeze for some but infuriated others! 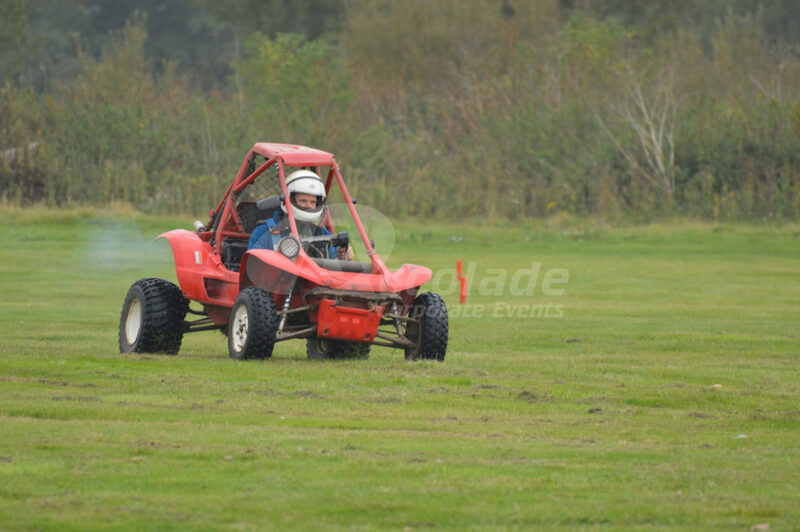 For those wanting a little adrenaline rush we had our double seated powerturns, they always go down a storm and are quite tricky to master - Jeremy Clarkson once described them as 'shopping trolleys on steroids!' These are real boys toys but not just for the boys! No Country Pursuits Company Event would be complete without hay sack throwing, horseshoe throwing and of course Wellie throwing - nice and simple and brilliant fun! Each of the teams were playing for fun money and we have to say that the lengths that they went to to 'acquire' it was admirable! But there could only be one winning team, so the money was counted and the winners announced and the celebrations started! Then it was off back to the bar for a well deserved drink and to get ready for the evening entertainment - a perfect end for their company away day! If you'd like to find out how we can help you create the perfect Country Pursuits company event, then give our team a call on 0800 083 1172 and we'll talk you through the many different exciting options.